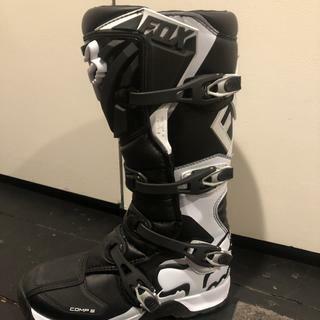 Built with protection and affordability in mind, Fox’s latest version of their Comp 5 Boot is made for both the experienced rider and the new rider that wants to start riding with an excellent boot right out of the gate. Fox makes their Comp 5 so capable because they borrow several features from their top-tier boots and adapt them to a more affordable price point. Features like the aluminum buckles, bonded out sole, and exceptionally durable materials are all qualities borrowed from much higher-priced boots. With all of these features and qualities built into a single boot, it’s impressive that Fox managed to build the boot and still keep it under the two hundred dollar price point. The ultimate sport performance boot. All day comfort and support. Soft touch aluminum buckles for easy closure. Plastic shin plate and medial guard provides great coverage. Very nice. Great price. Will definitely order more later on. They look good and feel awesome right out of the box. I did have to order a large size, I wear a size 11 shoes, boot and even the Army put me in a size 11 but these needed a size 12. Overall great experience with rocky mountain they awesome my boots got hear a day before and prefect all around these guys rock!!! I love these boots. They support my ankles very well, and are comfortable once they're broke in. One thing to note, I have a wide foot and typically wear a 10.5 to 11, and needed a 12 to get my foot in. Other than the sizing, they are great! I bought these over the comp 9 due to price. Turns out I like these alot. Good ventilation, easy to walk hinge, has been keeping water out well, and I like the more narrow toe box. The buckles are a bit picky to latch, they have to line up just right but that is my only complaint. Great boot for the money but they run a little small. I wear a size 12 in everything I buy but I hade to send these back and get a size 13. I love the sole and they have a ton of adjustment in the buckles. I bought these and was really excited to get them. I read they run small so I ordered a size up( I wear a size nine and ordered a size 10). when I got them the first thing I did was put them on and wear them around and realized they were still a little too small. I am going to try to exchange them for a bigger size but I am not to sure I am going to be able to as I wore them for a little. They feel great and I like them but wished I got a bigger size. 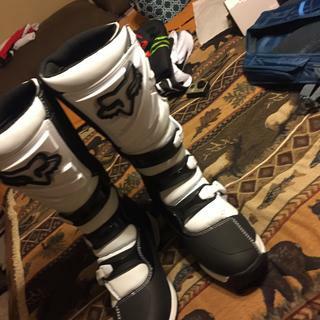 Nice boots, been a long time since I've needed MX boots and these are great. I wear a 10.5 got an 11, spot on. Looking forward to the riding season to use them! Maybe I just got a bad pair.. I might have just been unlucky and got a bad pair, but these boots are the worst I've ever had. Even cheep $100 boots lasted longer. The buckles constantly came undone, and after only 1 season of use the sole completely ripped off the bottom,and the thing finish was wearing off the sides. I don't ride a lot either, this was probably less than 50 hr of ride time. They also seemed more flexible in the ankle area than a lot of boots. Good for comfort but not so great for safety. i love these boot they are the best boots i have bought under 200$ never had any problems with them, besides when buckles get worn they get unlatched in the trails when your riding fast but it rarely happens to me but other then that 100% best boot under 200$ recommended to all my friends. 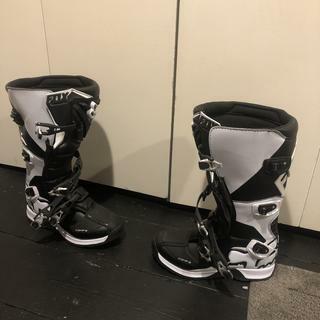 Nice boots, only have 1 ride on them but they seem to be good quality at a good price. I wear a size 10 with Vans and a size 10.5 in Nikes. I ordered size 11 and they fit me great, but I also have very narrow feet and ankles. If you have wider feet and ankles you might want to get 2 sizes up. These are my first boots so can't really compare but I really like them. They look great and I feel very protected. I haven't submerged the boots at all in water but they look pretty water proof. I only wish that the buckles were easier to buckle, and they seem like they could pop open easily in a fall but don't know if moto boots are just like that. This is my second pair. Last and durable. This is a great boot for the money. I have only worn them once, so only time will tell how long they will actually last. Get 1 size larger than you usually do, these run really small. 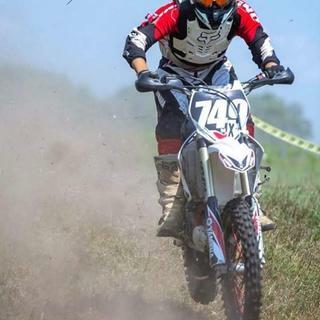 OK, so I am brand new to the sport of off road motorcycling. I have well over 150,000 miles on the road and discovered quickly that the dirt is WAY different!!! I was using hiking boots on my dirt bike and thought they were just fine. I decided to give these Fox boots a try and HOLY COW...AMAZING COMFORT WHILE STANDING ON THE PEGS!!! Incredible support and surprisingly comfortable. They do run small so get one size larger that you normally wear, but man are these things AWESOME!!! These boots run extremely small. I typically wear a size 10 1/2- 11 boot. I had to send these back two times until I got a size that fit ( final size 13). I have never worn a size 13. For being such a large company, I would think they could figure out proper sizes. I was very disappointed with having to send both my Pants and Boots back two times, until I got sizes that would fit. I would definitely order these again. Just plan on ordering anything Fox larger than you normally would. Too small, had to return for 2 sizes up because they don’t have 1/2 sizes ???? RCM ATV is the best have me a return label and back they went and my new boots arrived in no time . These boots are absolutely amazing for the price. The are super easy to to break in and they are super good quality for the price. Only problem I have with mine is one buckle won’t stay tight when I bend my foot. But it maintains decent tightness just not super tight. Buckle stays clicked but the notch budges. Also fit one size small. But a size bigger. Little break in time, put on the moto socks, walked around the house, did chores, mowed the lawn, I'd have to say for the price, itz a great boot, now for Superstition mountain and pole line road towards Blow Sand on the XR650, hope they hold up. Comfortable boots. Great value. True to size. Great boots for the price. On my second pair. I’m sure there are better boots out there, but not for under $200. I ordered the wrong size, they exchanged them quickly with excellent costumer service. I loved these boots when I first got them. They were on sale and so I was excited to get a nice boot for a great price. It only took about 5-6 months though for these boots to start coming apart. The inside panels cracked wide open so you can be sure to have your boots full of water through any stream crossings. One of my buckles also broke off. I have two friends with the exact same boots and guess what? Exact same issues. One of them gave me a buckle off of his to replace mine because he was throwing his away because they were coming apart so bad. In the end, I love the comfort of this boot and the protection. I'm sure it has saved me from broken feet/ankles on many occasions. If you want a boot that is going to last more than six months I would look elsewhere. These aren't the most comfortable or the highest quality, but you can't go wrong for under $200! Only have a single ride on them so far, but I'd expect them to last a few seasons of weekend riding. I'd expect the buckles to fail first and definitely appear to be the weak point. But overall an excellent choice for sub $200 boots! 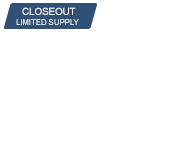 Definitely better boots out there, but not at this price. These boots give you pretty good protection considering the price. When it comes to boots that won't break the bank, you have to decide on protection or comfort. These boots are a good equal medium between the two. They give me the protection i need for my style of riding, and the comfort to wear them all day. If ever needed, I feel like I could walk 20 miles in the case of a break down in the middle of nowhere. I highly recommend these boots to dual sport riders. Boots run a size small! But other than that they fit great out of the box and were comfortable as well. Can't comment on durability but they appear well made. That and the buckles show replacement pieces being available if they do fail, however they fell pretty stout. Comfortable boot, I ordered a size bigger than my regular shoe. 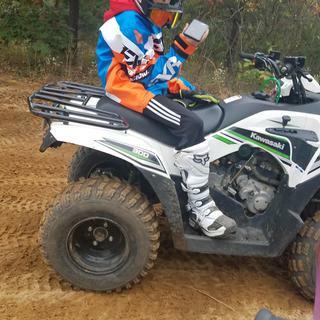 Highly recommend Rocky Mountain ATV/MC. Comfortable boots!! I wear a size 10 1/2 shoe I got a size 11 and they fit perfect!! Awesome boot for the price. Offers fair protection for the foot and ankle. Easy to shift in. I purchased these because my last pair was stolen. The first pair was great and so are these. Size fit true and comfortably. Tried the boots on. Really fit good and comfortable. I highly recommend purchasing this boot. The top part of the boot is not like the last comp 5 I had. The Velcro made a big difference. While riding ATV MX the buckles get stuck on the plastics and come undone. Do fox boots have a history of cracking along the toe of the boot? BEST ANSWER: I have had no issues w/ my boots. Very comfortable and durable. No signs of any part of the boot breaking down. Are the buckles on these adjustable? The buckle is non adjustable. It screws into on spot but the latch plastic is adjustable. Yes they are. I would say they have roughly 2 inches of adjustment per buckle. They are adjustable and even replaceable. I ware 10.5 in sneakers, should I go with a 10 or an 11 in this boot? BEST ANSWER: The sizes are pretty true. I would recommend going with the 11. Once you add a race sock you would likely be too tight in a size 10 and it would lead to discomfort during your ride. I got an 11 and found that they fight really well and weren't to snug where I think a 10 would've been. I would go with 11 becuse riding socks could be thicker than regular and also to ensure comfort. At least an 11. I wear a 12 in almost every shoe I have and had to send them back for a 13. 11 they fit true , but very snug. I wear a size 11 what size should I order? BEST ANSWER: Hi! Thank you for reaching out! We would suggest ordering a size 11. However, if you do plan on wearing a thicker sock we would suggest ordering one size larger. Hope this helps. Happy Ridings from all of us at Fox! From my personal experience with the fox boots they run basically the same size as my shoe size . I wear a 10 1/2 an I got an 11 an they fit just a little lose so I added an insole an they fit perfectly fine . I bought these for my son, he wears a size 12. I would say that you would get the size you wear in street shoes unless you wear extra thick socks. I wear a size 10.5 to 11 depending on brand, with a wide foot. I had to get a 12. Go one size up they run small. Are these boots water proof? BEST ANSWER: They are somewhat water resistant, not waterproof. Good boots with good latches and support but my feet get wet any time enough water splashes up fro the tire or I set a foot down in a puddle. Sweat doesn't evaporate either. Plan to use boot dryers to keep th "funk" out. No boots are waterproof. In my experience, Gaerne boots provide the best water protection. Water resistant, feet were sweating so hard to know for sure if water proof. I have a big calf and was wondering if I could still fit shin guards inside the boots? BEST ANSWER: I wear shin guards with mine and have a little adjustment room to spare. You should be OK. These are great boots. I’m honestly not sure but believe Rocky Mountain has a good return/exchange policy. My son really likes the boots and for the price.... Good luck. Probably not. I have big calves and the top buckles are almost maxed out. My son wears a 9.5 shoe although he is only 14 so clearly still growing, would it be better to go with a size 11 so he gets more wear out of these boots rather than just going up to a 10 or would they be entirely too big and not be able to shift properly? 2. U have to go 1/2 size up anyway cause they only come in 10,11,etc. 3. 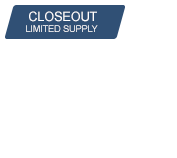 They break in quick and at this price point you may want to replace after couple years anyway. I would start with an 11. My history with fox boots to order 1 full size larger than shoes. My son wears an 11 or 11.5 shoe and has the Fox instinct boots in a 13. Great boots hope he enjoys them. fox boots run small so I would definitely order a size bigger that’s what I had to do. I ordered 12s and didn’t not fit so I ordered 13s and fit perfectly. Yes, to a degree. 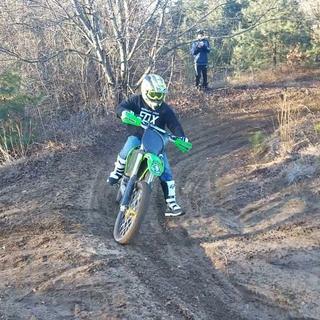 Its fine for riding but if are standing in water for a period of time your feet will get wet. Is real leather used for these boots? BEST ANSWER: Full leather upper , great fit and pliable and comfortable right out of the box. 30+ rides no issues, great entry level boot! Its not real leather but durable boots non the less. Super comfortable too! no mention of steel shank in these boots, is there a steel shank? Comp 5 has Steel Shank encapsulated in the nylon insole. how tall is the boot from bottom of sole to the top? 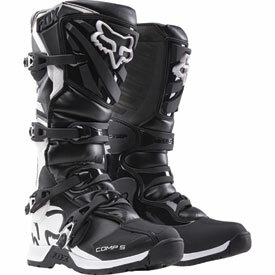 BEST ANSWER: The Comp 5 Boots will differ in height from size to size. in general the boots will be 15-17 inches tall. BEST ANSWER: No they are molded soles but are pretty stout. No they are not. Good boots for the kids. Hi the boots I ordered are on back order I was if I was to get something else instead could I changed the order and have the money I spent put towards the new item? BEST ANSWER: Yes, just give us a call at 1-800-336-5437 to make the change. I wear a 10half shoe whats my size with these? BEST ANSWER: We recommend anyone that is a half size to move up to the next whole size. Recommendation would be a size 11. I use 10W what size is recommended?